Trimark Polo shirt with left chest embroidered logo. Available in Black, Yellow, or White. 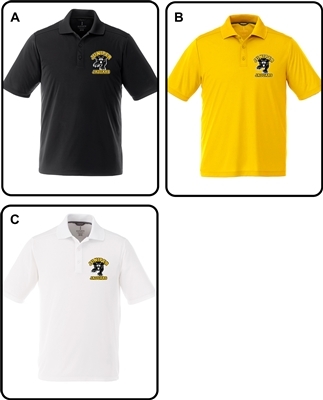 Trimark Polo shirt with left chest embroidered logo. Available Youth SM - XL or Adult SM - XXXL. Available in Black, Yellow, or White.